B&B Aurora is a beautiful dream that takes you far away, to appreciate a quality choice. 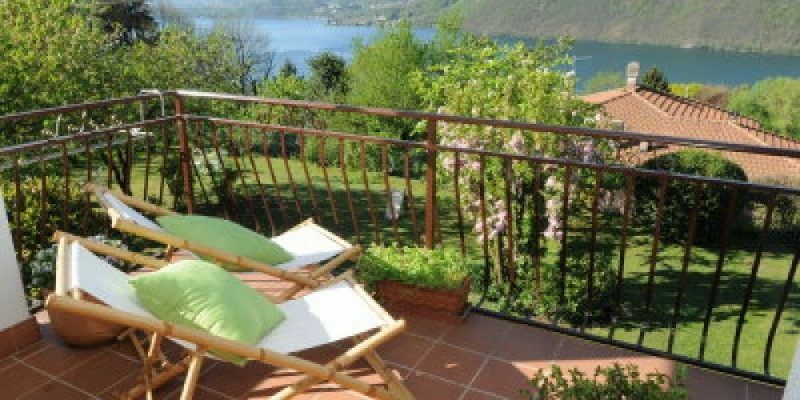 The Villa with garden, bright and open on the lake, allowing visitors in a single glance, to range from the Island of St. Giulio Omegna. Located in the most exclusive Pettenasco Crabbia, charm guests in all seasons. 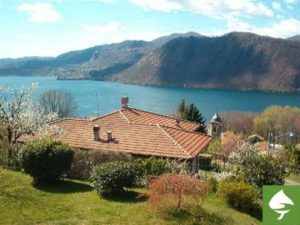 Walter and Tina, make available (with separate entrance at any time) on the first floor of their house, where there are two bedrooms with bathroom, large solarium and a large covered terrace, from which you can enjoy an incomparable view of the lake and of his island. The buffet breakfast made with local products, when time permits, is served on the terrace or in the garden under the gazebo, or in the dining room with fireplace. Free services: car parking, playground and pool for children (under parental supervision), lake beach with private parking. The B & B Aurora is for all those who wish to enjoy a holiday special, immersed in nature, for those who dream of a harmonious and relaxing. We are waiting for you to appreciate our places, rich cultural, architectural and historical. Renowned restaurants, trattorias and pizzerias offering ample opportunities for refreshment.